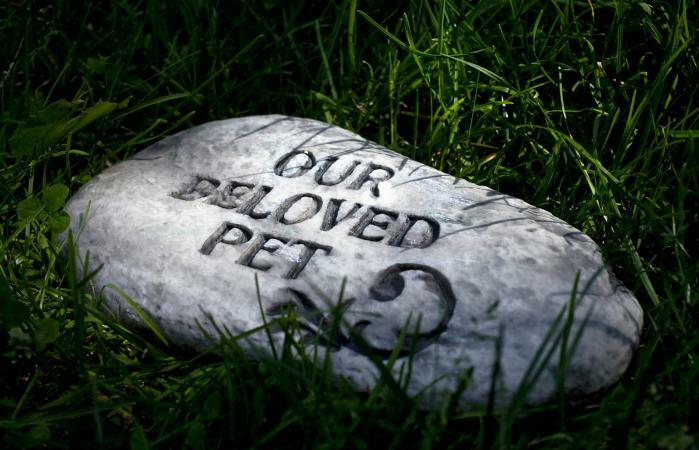 Using pet death prayers during a memorial is a good way to remember a loyal and special member of your family. Write your own prayers for a dying dog, cat, or other pet, or find prayers already written that can be personalized for your pet. If you have difficulty putting together the right words for a prayer during the trying time of losing a pet, use one of these original prayers or revise them to make them your own. Lord, thank you for the blessings of companionship you allowed (dog name) to provide. His attentive demeanor and patience with me daily reminded me of the care you put into providing your people with friendship from four-legged friends. Please allow his transition into the afterlife to be smooth and painless and allow him to gain the understanding that he meant a great deal to me and was very loved. Lord, (cat's name) is such a gentle soul; please welcome him into your arms and onto your lap. I pray that his transition is peaceful and he feels my love for him as he goes. Thank you for allowing me the time with (cat's name) that I had - he was such a blessing to me. Lord, pets were one of your greatest creations. (Pet name) brought me so joy and love and I praise you for your wisdom in creating animals that enjoy the company of people. Thank you for the blessing of (pet name). May he go peacefully into heaven and await my eventual arrival. Please let me see (pet name) again someday at the Rainbow Bridge. Lord, thank you for (pet name). We love him very much and we know he will soon be in heaven getting pet by all the angels. He'll enjoy his angel wings and will probably make all the angels happy with his cuddles. Please help us say goodbye until we see him again in heaven. Writing your own pet death prayers can be difficult because you are probably going through a great deal of emotional pain at this time. However, sometimes, it is beneficial and comforting to write down your thoughts and feelings in relation to your faith. It can help you come to terms with what has happened and bring you to a mental place where you know that your pet is now at peace. What is important in prayers about pet loss is that you say what you want to say to your higher power. You want to achieve closure with a prayer during a memorial and one of the best ways to do this is releasing your feelings and thoughts in the prayer. Asking your higher power to take care of your pet and thanking Him for allowing you to love such a special animal in your life, can help you find peace and comfort.